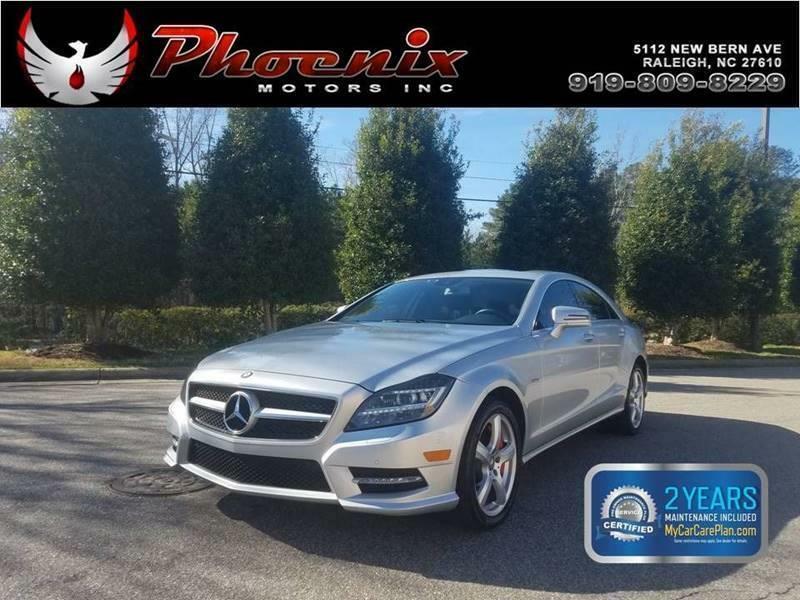 I would like to learn more about this 2012 Mercedes-Benz CLS CLS 550 4dr Sedan. Please contact me as soon as possible! A four-door coupe might be an oxymoron, but it is one that nevertheless has proved to be a popular concept. Mercedes pioneered this with the original CLS-Class for 2006, taking the underpinnings of its E-Class midsize sedan and wrapping them in a curvaceous body with the sleek, sloping roof line indicative of a coupe. The CLS550 and CLS550 4Matic come standard with 18-inch wheels, an adaptive air suspension, bi-xenon headlights, LED running lights, auto-dimming rearview and driver-side mirrors, a sunroof, dual-zone automatic climate control, 10-way power front seats with memory functions and four-way lumbar adjustment, a power tilt-and-telescoping steering wheel and leather upholstery. Electronics features include a navigation system, real-time traffic, voice controls, Bluetooth phone and audio connectivity, and a 14-speaker Harman Kardon surround-sound audio system with a six-CD changer, HD radio, satellite radio and digital music storage. The Premium 1 package adds adaptive LED headlights, automatic high beams, a rearview camera, a power trunk closer, keyless ignition/entry, and heated and ventilated front seats. It also includes a power rear sunshade and an iPod/USB audio interface. Every 2012 Mercedes-Benz CLS-Class gets standard four-wheel antilock disc brakes, traction and stability control, front knee airbags, front side airbags (both torso and pelvic), full-length curtain airbags and Mercedes-Benz mbrace emergency telematics.